One of the most courageous things a person can do is to stand up for what they believe in. Even in the face of doubt and ridicule from peers. Dr. Rob Hackett knew what he was doing was awkward. But he also knew that it might save some lives. 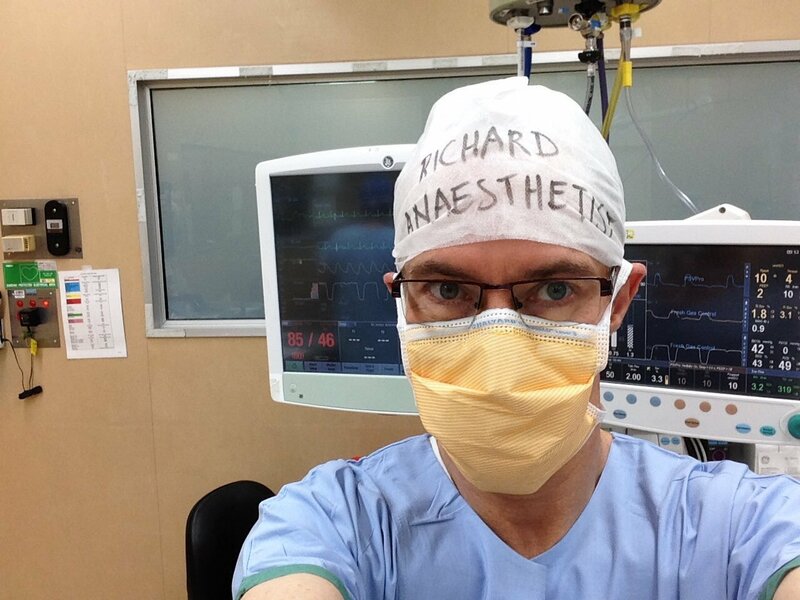 Hackett started writing his name and his profession of “anesthetist” on his cap before he would go into surgery. Despite how silly he looked and despite what his collegues said, he continued to do it anyway. 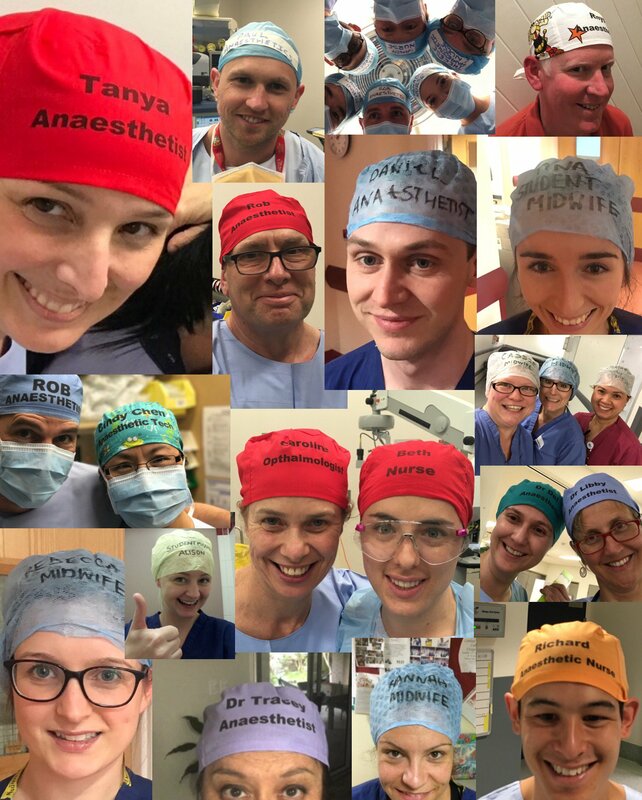 Hackett found that it’s hard for clinicians to recognize each other during surgery since they are covered in scrubs and masks. They also work with hundreds of different people, so it can be difficult to remember or identify some people. 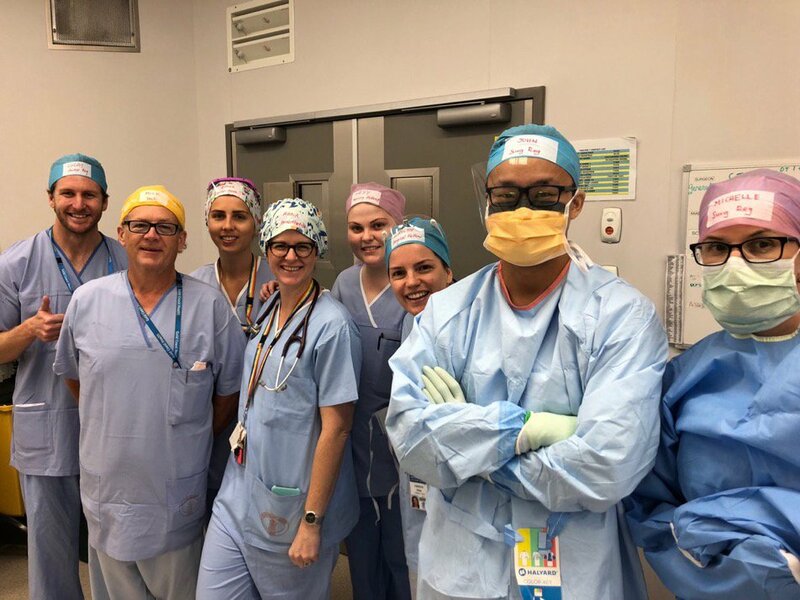 But this can be a bad thing for patients since precious seconds or minutes can be lost when colleagues struggle to direct each other in the operating room. 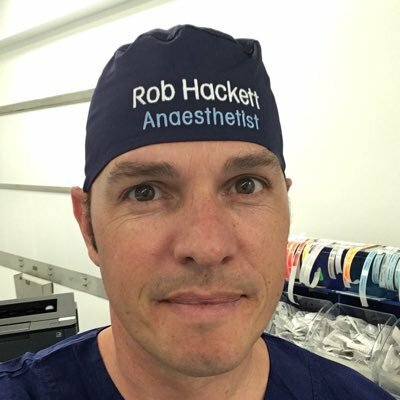 Hackett says he has seen delays in chest compressions on patients suffering from cardiac arrest all because no one in the operating room knew who the clinician tasked with the job was. He has also seen medical students be mistaken from surgeons and asked to perform complicated procedures. So, Hackett doesn’t care how ridiculous people think he looks. What’s important to him is patient care and working efficiently. “It’s so much easier to coordinate when you know everyone’s names. It’s great for camaraderie and it’s great for patients as well,” he said. Hackett isn’t the only one who thinks this is a good idea. He unknowingly started a movement. 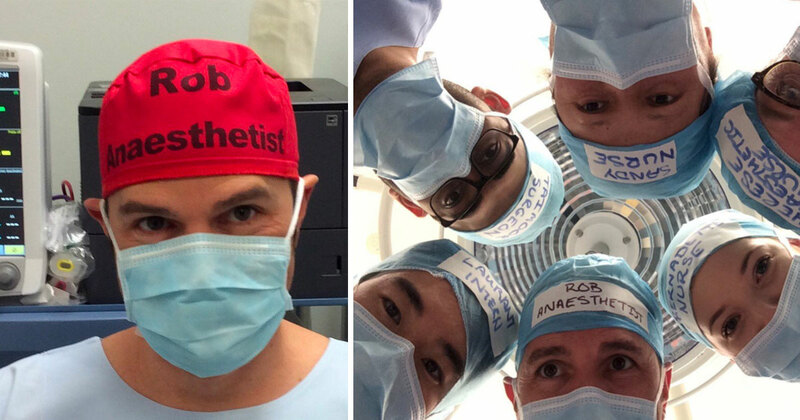 He posted a picture of his cap on Twitter and the #TheatreCapChallenge was born. 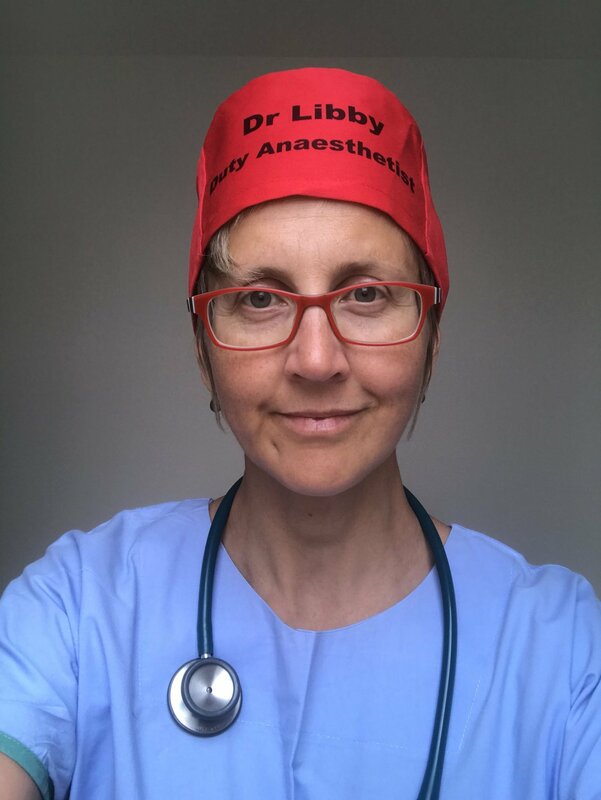 Theatre is a reference to operating theatre which is equivalent to an operating room. 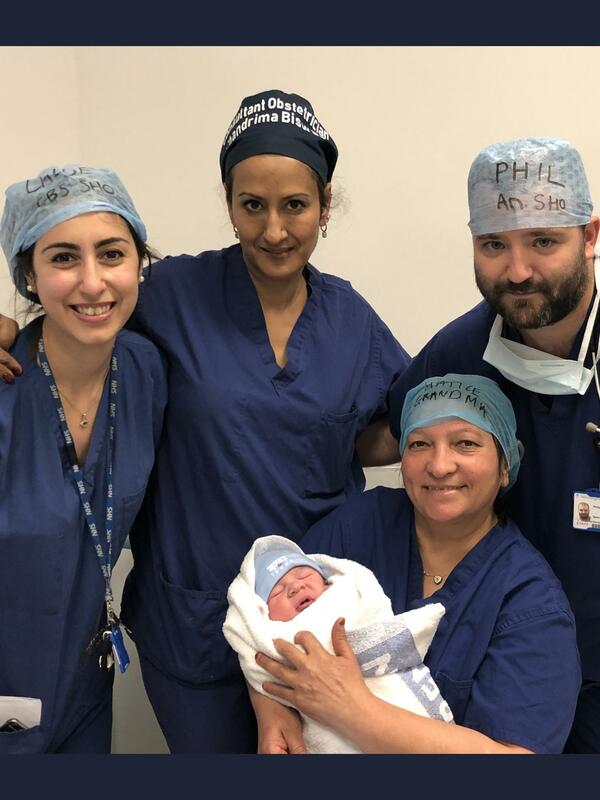 Now doctors and medical students all over the world are doing the same. 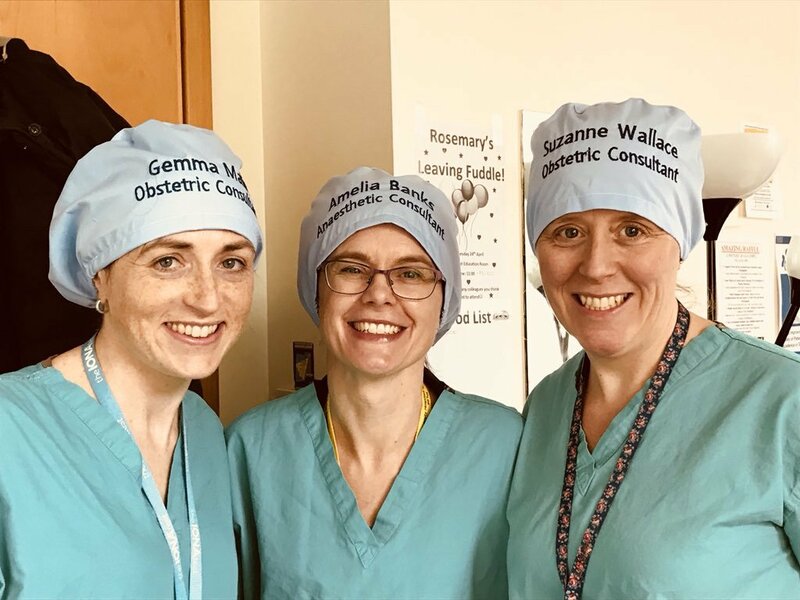 Student midwife Alison Brindle started the hashtag to spread the word about this simple measure that can increase patient care, according to the Quad-City Times. A 2016 study by John Hopkins University found that medical errors are the third-leading cause of death. The study doesn’t blame doctors but “unwarranted variation” in health care such as getting more consensus on medical reporting, care coordination, insurance networks, and safety net systems. So, basically, things that ended up getting neglected, cut, or rushed in order to save health care facilities time and money. But Hackett’s idea doesn’t cost a thing. 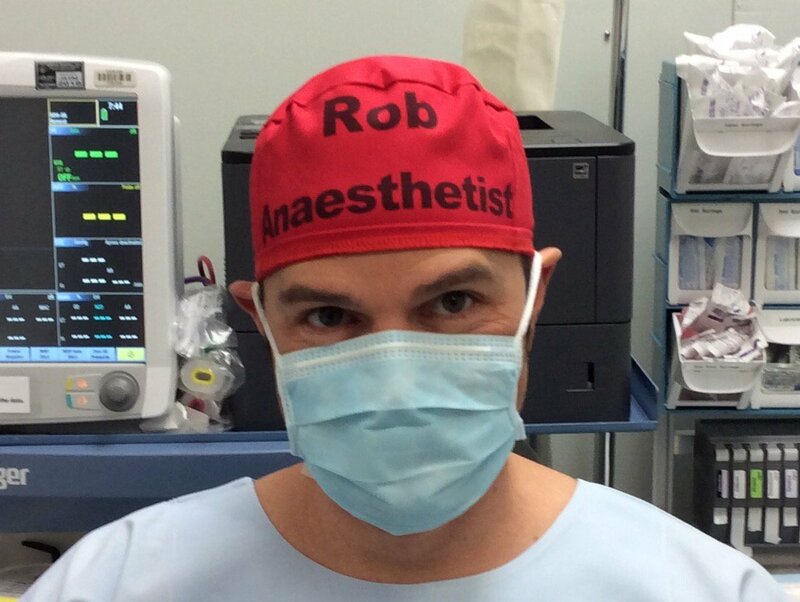 Just a few moments to scrawl one’s name on a cap in order to reduce mistakes and improve patient care. Still, not everyone was onboard with Hackett’s idea, especially the more senior officials. 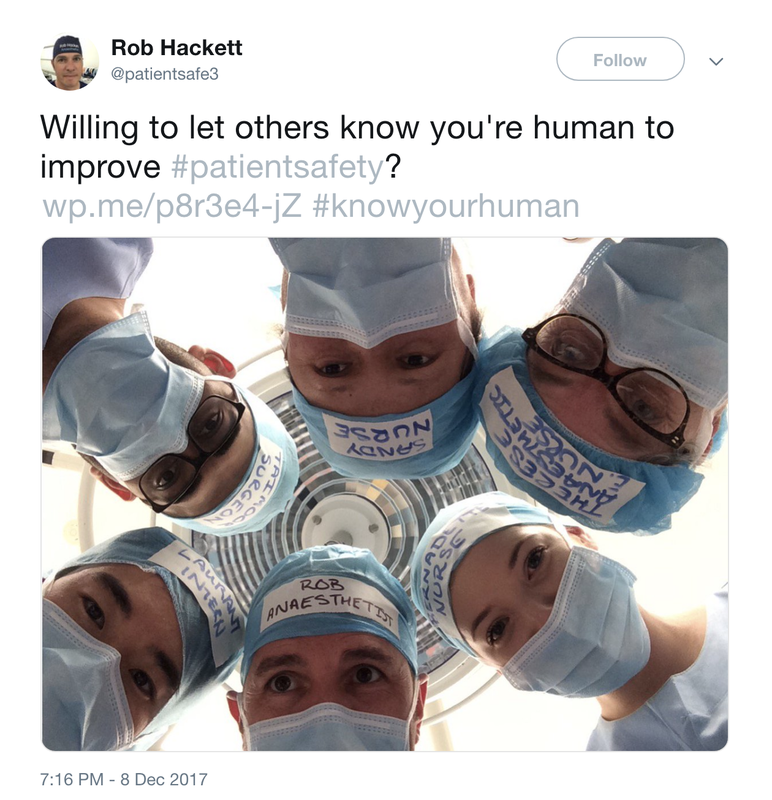 He started the PatientSafe Network initiative to help “create the best environment for patient care” and bring awareness to obstacles to patient safety. 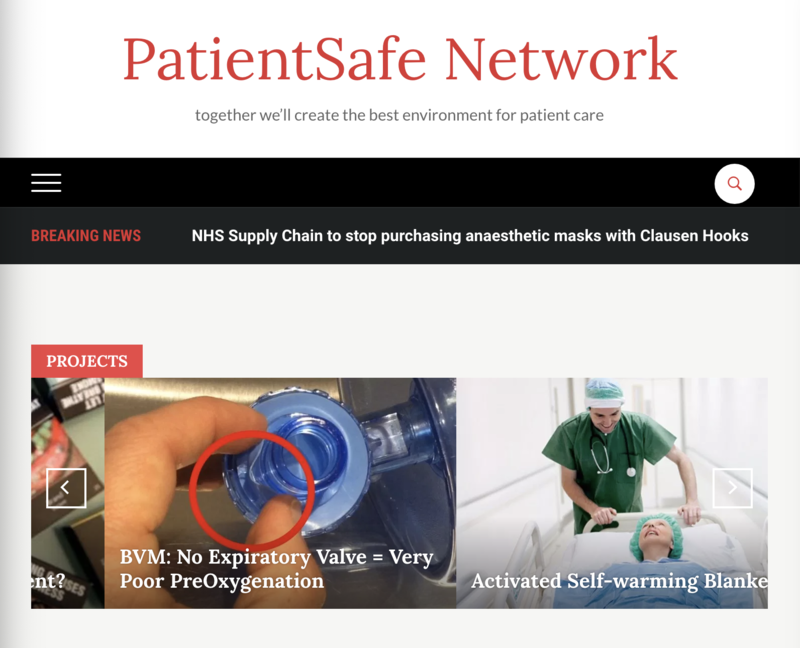 You can learn more about PatientSafe at psnetwork.org.